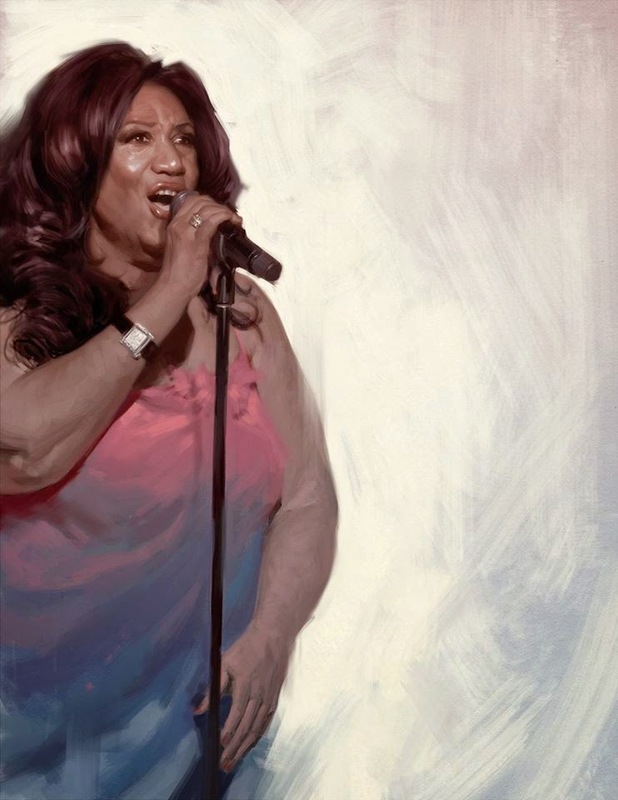 Tyler Jacobson did a great job on the Aretha Franklin portrait for Rolling Stone Magazine. 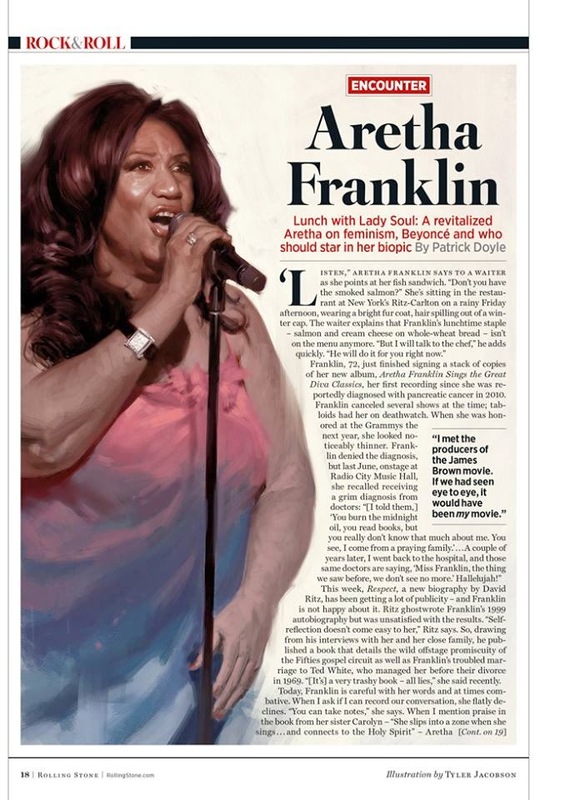 Heres the layout from the November issue of Rolling Stone. Lady Soul looks marvelous as ever, be sure to pick up an issue!! Check out more from the Rolling Stone, here! Check out more from Tyler Jacobson, here! Richard Solomon and Staff to Art Basel!